Don’t slice too much ….. | Helping the best to get better! Don’t slice too much …..
Do you recognize this one? : “Coach, I don’t understand….. everything is better than last year and still I do not perform better than last year ….”. If this sounds familiar to you I might give you an idea why this happens. Sports performances are complex phenomena. So one way to approach our training is to slice up this complexity in small, comprehensible and manageable parts. E.g. we slice up the training into conditioning, technical, tactical and mental, again we chop up the conditioning into strength, speed, endurance and then we slice up the strength into maximum strength, explosive strength, strength endurance and then we again chop these up in smaller components and training methods. In doing this Excel became our strongest friend. We put all of this into nice looking spreadsheets and put this on the timescale of a year which we also chopped up into smaller parts. Now the fun begins: fill in all the cells in nice colours. And voila…. we turned a complex phenomenon into practical pieces. Now after the workouts check all the boxes, monitor as many parameters as possible and success is guaranteed……. or not ? When listening to coaches in various sports in different countries I hear that they tend to develop an analytical mind, which is OK. But basically we are trying to develop something, to create or synthesize a better athlete. In medical terms: we have to try to treat, not only to diagnose patient! Most young coaches, educated with modern technologies and IT tools are fond of complete analysis of their sport or their athletes. New testing, measuring and monitoring tools are popular. “Big data” or “quantified self” have become household names. Don’t get me wrong, one needs to analyse the demand of the sport and to evaluate your athletes. But over-evaluation in most cases complicates matters more than is necessary. It’s like taking a tool or implement apart to see what it consists of and to understand its weak and strong points and probably what would be the best way to improve it. But is that really true? 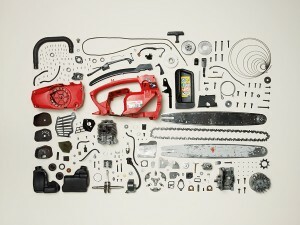 Here is an example from Todd McLellan the author of the book “Things come apart”. Take a simple tool of which you know it works, like a chain saw or a smartphone. 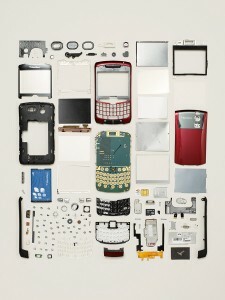 Take them apart and analyse its components. Now first try to understand how it works and secondly: try to put it together again… You will see that the sum of the parts will not explain how it works nor that it will work. Our job is to take all of these parts and put them together more than taking things apart. The old Gestaltpsychology already told us: “the whole is more than the sum of its parts”. Why wouldn’t the same apply to our sport or our athletes? Can GPS or match analysis tell you who won the match? Do blood tests, physiological tests or questionnaires predict who wins the 100 meter Olympic final? Of course data might help us to understand the nature of the sport or the athlete better. But again, I see that in many cases coaches get lost in the details, and cannot see the forest from the trees anymore. More data does not necessarily tell you more than you already know. Also coaches can suffer from paralysis by analysis. Linear thinking (if …. then …) doesn’t work in biology (nor in many other fields ). The real art of training is to find the relevant and significant data to act upon, not the mindless gathering of data without taking acting upon them. Nobody said that coaching was an easy job and if they told you, they lied…..
One Response to Don’t slice too much …..
Goed geschreven en onderbouwd stuk Henk.